The latest meeting of the Citizens Coinage Advisory Committee (CCAC) started this morning at 9:30 am EST and will run until 4:45 pm today and from 10 am to noon tomorrow. 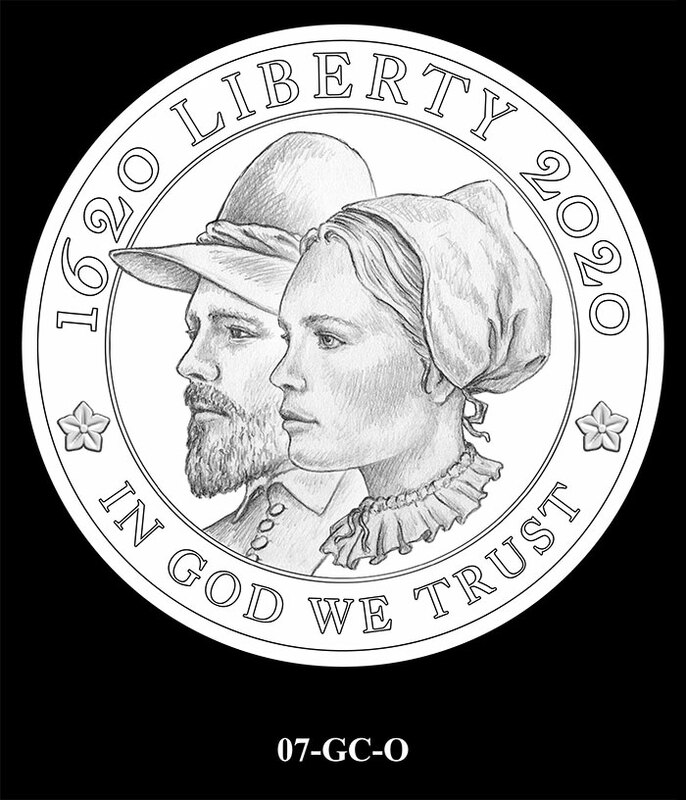 Commissioned to advise the Secretary of the Treasury on the design of all U.S. coin and medal products struck by the United States Mint, the 11-member committee will be discussing candidate designs for the 2020 Mayflower 400th Anniversary 24k Gold Bullion Coin and silver medal; the 2021-2025 American Eagle Platinum Proof Coins; and the 2019 American Innovation $1 Coins representing Georgia and New Jersey. 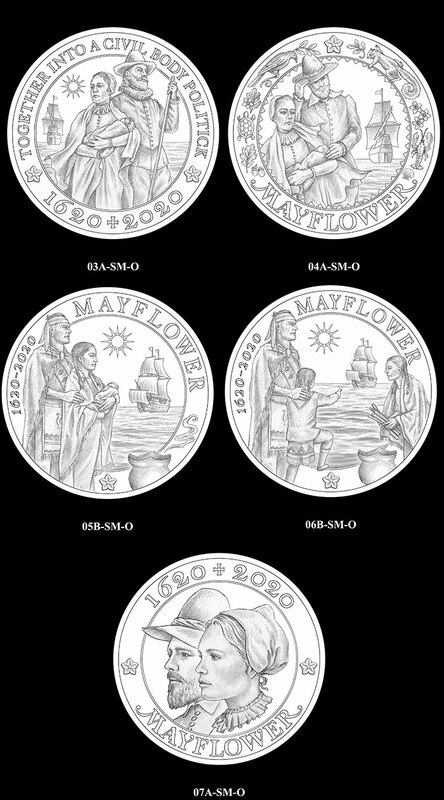 There is some controversy regarding the 2020 Mayflower Gold Bullion Coin. 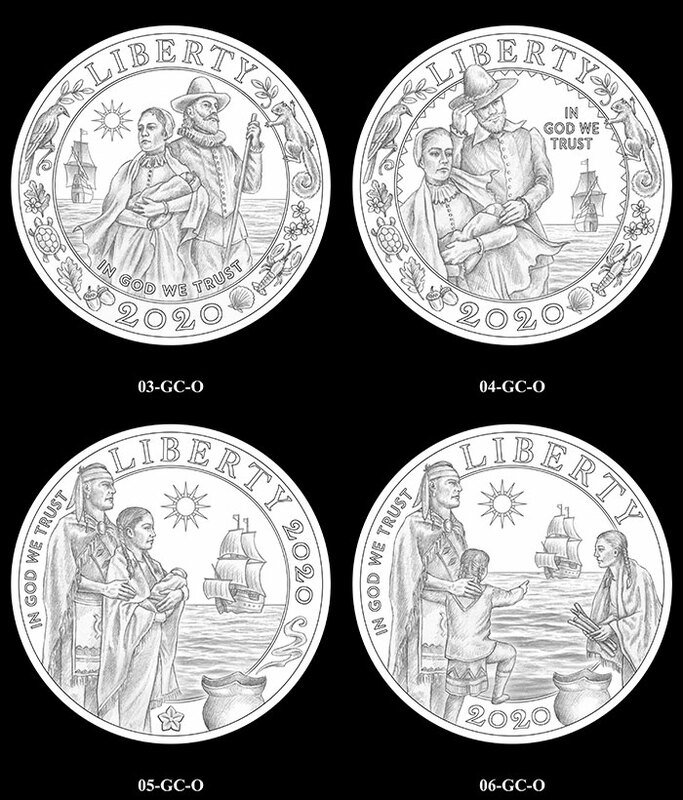 Various versions of a Mayflower 400th anniversary commemorative coin program have been introduced to both houses of Congress over the last few years, but none of them have passed the legislature (see here and here for examples). 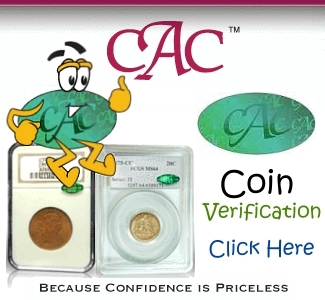 Because the legal authority to create commemorative coin programs belongs to Congress alone, the Mint is not able to produce commemorative programs without authorizing legislation. 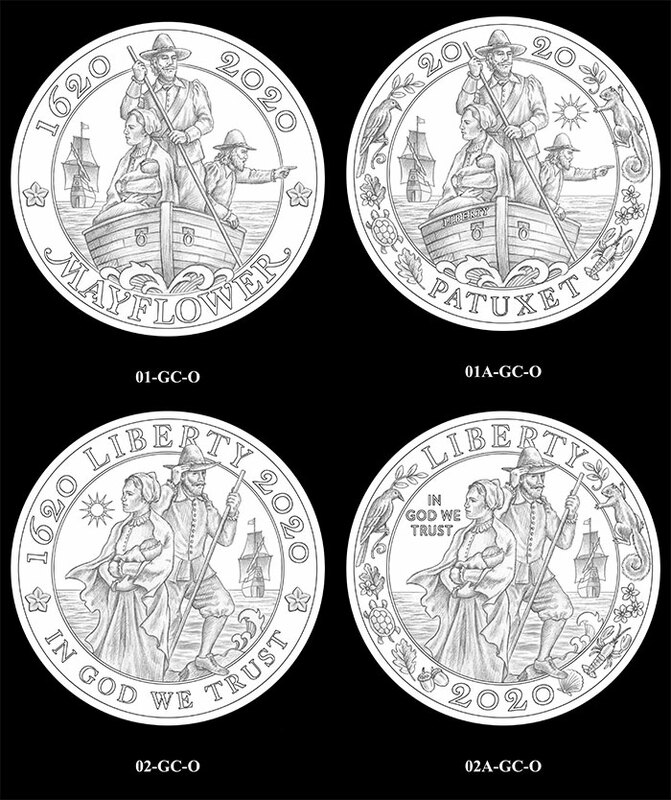 Yet Mint Director David Ryder appears to be doing just that with the 2020 Mayflower bullion coin and medal series. 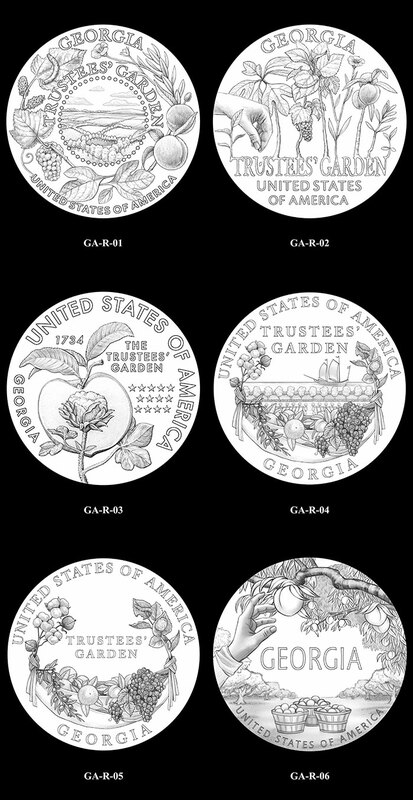 While others in the numismatic media are clutching their pearls over the very idea that the United States Mint would use a legal loophole provided to it in a law enacted in 1996 (link to PDF) “to issue gold bullions coins with specifications, designs, varieties, quantities, denominations, and inscriptions as the [Treasury] Secretary, in the Secretary’s discretion, may prescribe from time to time” so long as the “profits generated from the sale of gold to the United States Mint for this program shall be considered as a receipt to be deposited into the General Fund of the Treasury”, we are not. Quite the contrary. 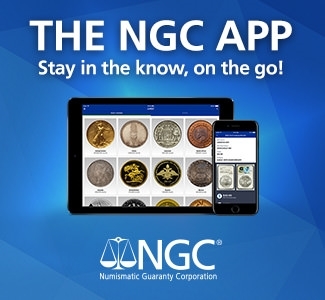 We wholeheartedly support the Mint’s decision to expand its numismatic portfolio and feel that they should continue to be aggressive in this regard. In 2016, CoinWeek Editor Charles Morgan approached a U.S. Mint official about this loophole at the World Mint Directors Conference while discussing the thought process behind the Mint’s 100th-anniversary three-coin gold set. And while Charles’ probing questions were not met with forthrightness and candor, it was fairly obvious that the Mint could use this legislative language–and probably should use it–to circumvent the tedious Congressional commemorative coin approval process. Mint sales figures year-to-year were clearly in decline in 2016 and continue to be so (the Mint confirmed this at their 2018 Mint Forum). 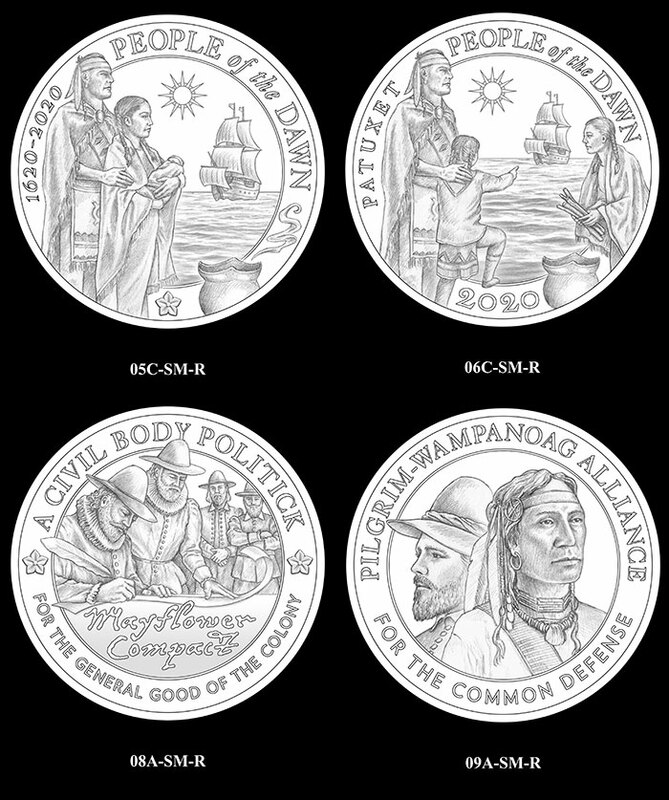 The Mayflower anniversary is an important one, as coins motifs go. It commemorates the voyage of the Mayflower, a ship containing religious refugees known as Puritans, who sought to establish a new land for themselves where they could practice the dictates of their conscious freely, without interference from Church and Crown. The ship set sail from England and arrived in America in 1620, landing in what became Plymouth, Massachusetts but was known as Patuxet by the native Wampanoag People. It was an important historical moment in many ways, helping to establish the character of the future United States of America. 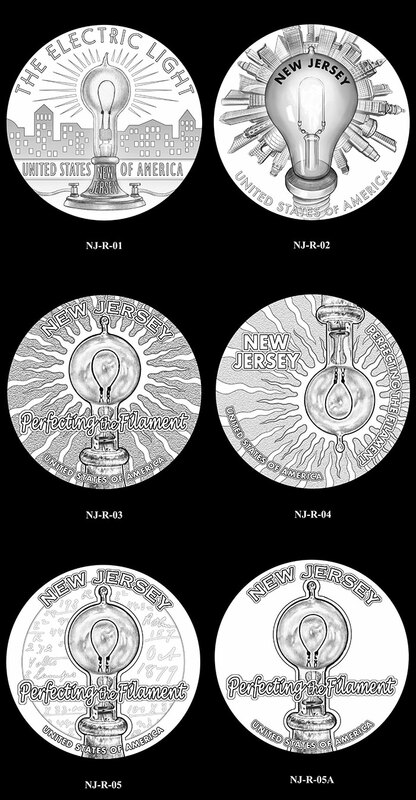 But for any given year there could be dozens of commemorations that would befit a national commemorative coin program. 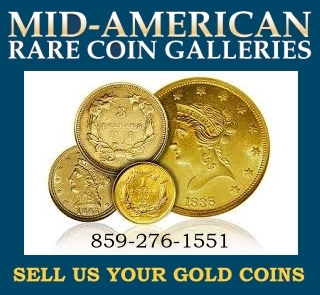 Our Mint neglects a major opportunity to innovate and modernize the collectible coin market if it does not lobby for and receive more autonomy from Congress in regards to its ability to market, test, and produce items of numismatic interest that actually have built-in demand. The commemorative coin programs of the past several years prove this point. Boys Town, Breast Cancer Awareness, the Lions Club, etc. 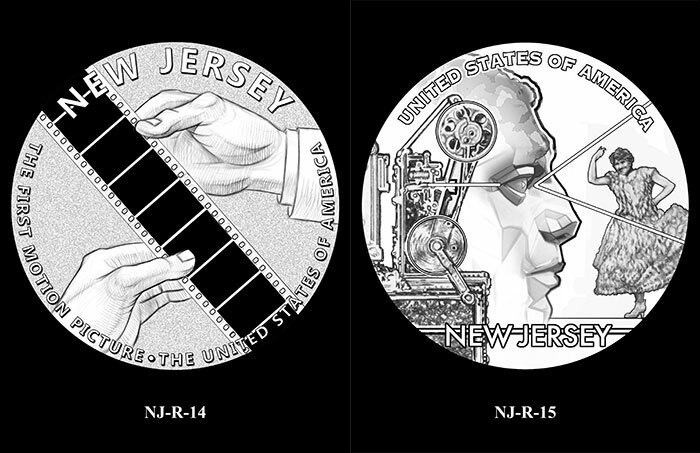 … Each of these programs squandered the buzz and excitement that the Mint generated from the release of the 2014 National Baseball Hall of Fame Coin. It took five years for the Mint to produce another concave coin and it has taken years for Congress to consider other programs that might yield the collecting market with a novel or unusual design. This has to stop. 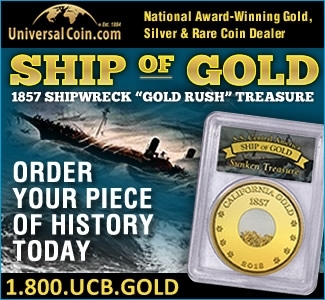 The numismatic community was better off when grift and insider dealing brought us the classic commemorative coin period. If anything, the Mint and the Treasury should move to get Congress to authorize the creation of silver bullion coins that can be produced without a Congressional mandate and allow Congress to partner with the Mint to see that other worthwhile causes are also honored. Collectors know better than Congress what they want – the numbers spell it out quite clearly. 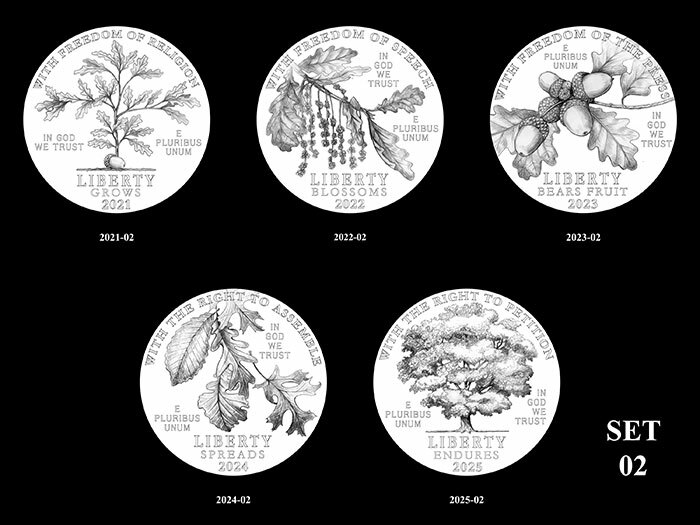 Next up are design candidates for the 2021-25 mini-series of American Platinum Eagles honoring the “Five Freedoms” guaranteed to all Americans in the First Amendment to the Constitution of the United States: freedom of religion (2021); freedom of speech (2022); freedom of the press (2023); freedom of the people “peaceably to assemble” (2024); and freedom to “petition the government for a redress of grievances” (2025). 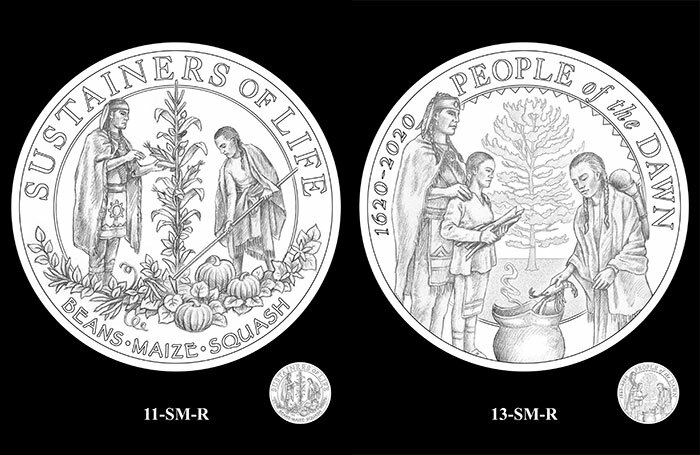 Like was done with the three-year, three-coin set commemorating the Preamble to the Constitution (“Life, Liberty, and the Pursuit of Happiness”, 2018-20), candidate designs have been submitted as complete sets so the coins can benefit from a greater thematic unity. Below are the sets the CCAC will be considering today and tomorrow. 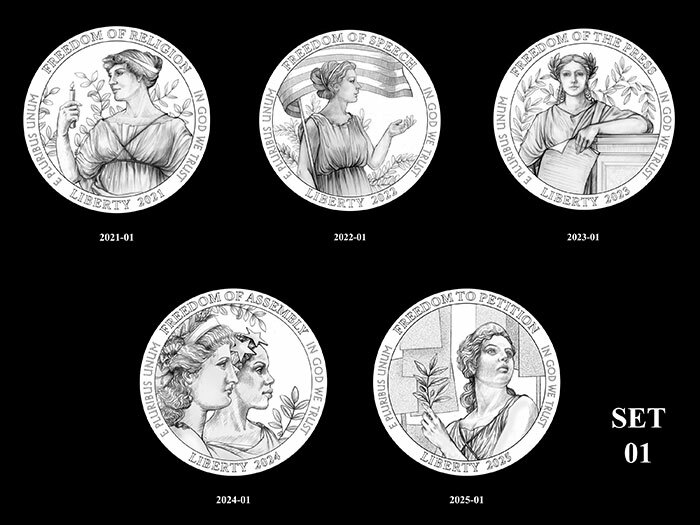 Of special note is design 2024-O1 in the first set, which features renditions of Lady Liberty as portrayed on the Morgan dollar(!) and the 2017 American Liberty 225th Anniversary gold coin. The American Innovation $1 Coin program (or as we call it, the “Flowbee dollar“) requires the Treasury to “mint coins in recognition of American innovation & significant innovation and pioneering efforts of individuals or groups” from each state, territory and the District of Columbia. 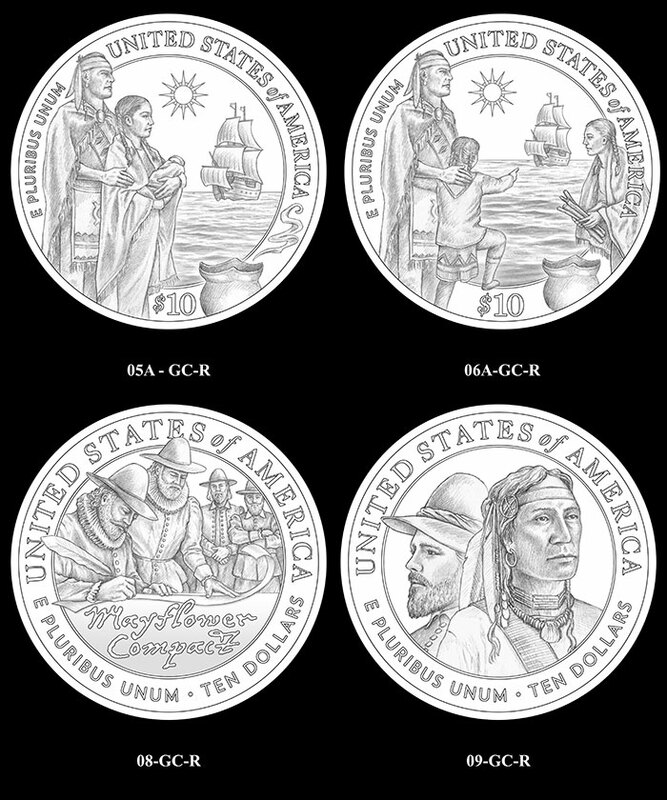 The program is follows the Presidential $1 coin series, which ended its (first) run in 2016. 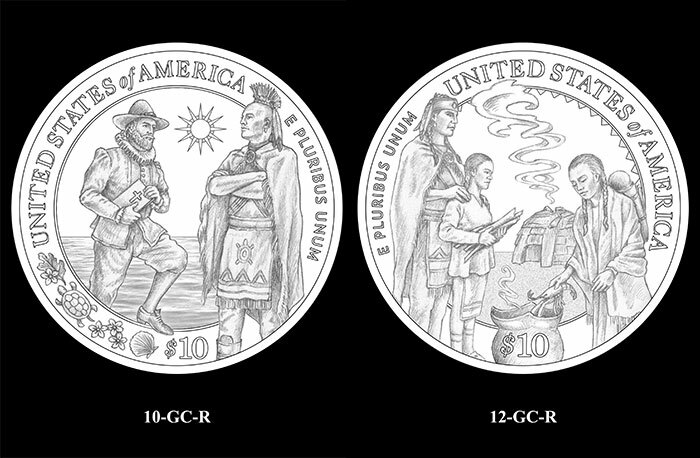 The new coins will be released alongside the continuing Native American $1 coin program. Representative James A. Himes (D-CT4) introduced a second version of the authorizing Act on January 31, 2017. After languishing for almost a year, it passed the House of Representatives on January 16, 2018, the Senate on June 20 the same year, and was signed President Donald TrumpJuly 20 a month later. The name of the state, district or territory and the inscriptions $1 and UNITED STATES OF AMERICA will be located on the reverse. The legend E PLURIBUS UNUM is to be incised on the edge of the coin. 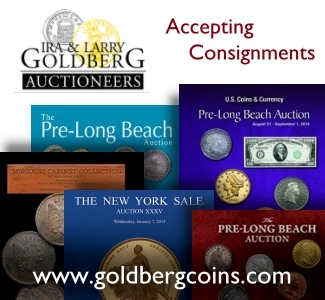 Four coins will be released every year over the next 14 years (2019-2031). If a new state joins the Union during the run of the program, then the Treasury Secretary is authorized to release a fifth coin to any given year’s output. Below are candidates for the Georgia and New Jersey dollars. PS – If any California politicians and policy-makers are reading, the Flowbee was invented by Rick E. Hunts, a carpenter from San Diego. Just sayin’. The ongoing April meeting of the CCAC is open to the public via teleconference at (866) 564-9287, access code 62956028. Follow the instructions to join in and please, remember to mute your phone.